Low open rates, flagging click-through rates, subscriber attrition -- if you've faced these challenges as an email marketer, you're not alone. Increasingly, subscribers are losing patience with mass emails. They expect timely messages that address their interests, and they ignore the ones that don't deliver. 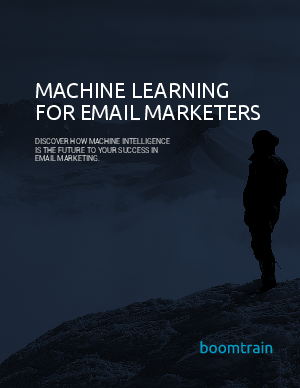 Fortunately, machine learning makes mass emails obsolete: it allows email marketers to send individually relevant emails at any scale. This eBook explains what machine learning is, how it works, and which metrics it impacts most.